Not everyone appreciates the directions Phil Labonte and Oli Herbert have swerved ALL THAT REMAINS over the path of their careers, but they hardly seemed affected by criticism. If anything, they're more resolved than ever to doing whatever they please, which is to toss a platter of metallic scrambled eggs on the table and let those scoop from the platter as they wish. Labonte has long shaken the stigma of being "that other guy who fronted SHADOWS FALL" which lured his band's initial fan base. ALL THAT REMAINS' hectic propensity to draw their audience into a game of Headbanger's Twister has proven to be the group's reason for longevity, even if those who first flocked to "Behind Silence and Solitude" and "This Darkened Heart" likely hit the bricks after 2008's mode-shifting "Overcome". 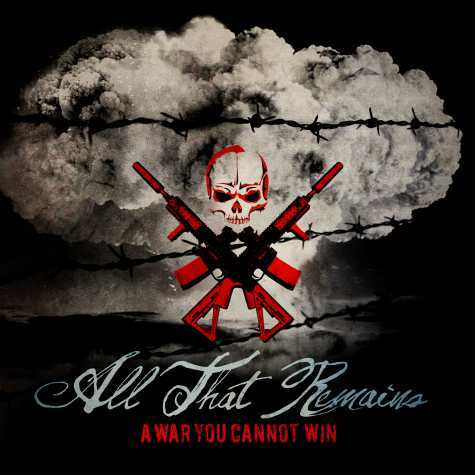 On their sixth album, "A War You Cannot Win", ALL THAT REMAINS strews their influences and passions under a mist of aerosol and if you're a fan, this one will be sitting in your player for a lengthy stay. At just under forty minutes, "A War You Cannot Win" becomes a happy medium for those who want to peek inside and take what they want from the album, since not everyone is going to be sold on the genre collision theory ALL THAT REMAINS pushes upon their audience. For the harder sect, you get "You Can't Fill My Shadow", "Just Moments in Time", "Sing For Liberty" and the band's throwdown segment cast as much against their critics as a bewildered generation looking for a shout of empowerment, "A Call to All Non-Believers". These songs are frequently fast but, no surprise, frequently skidded by breakdowns and heart-whumping choruses. 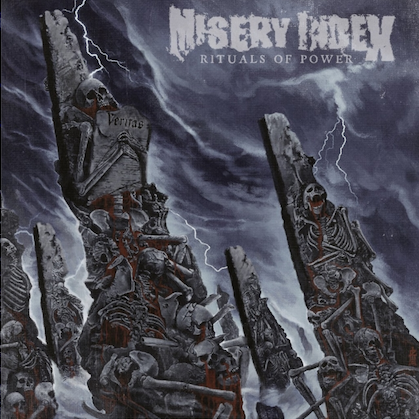 Oli Herbert's shredding and soloing often mimics his idol, Andy La Rocque of KING DIAMOND fame, even on the album's softer cuts. That's one of the reasons to hang with "A War You Cannot Win" despite the temptation to bow out just as quickly if you're older than 25. A point in his favor, Herbert's flamenco-spiced instrumental "Calculating Loneliness" is a reward for all of the rail-changing pop crunch and metalcore preceding it. If ALL THAT REMAINS' primary directive is to ram into FM, they make their case with the melodic flush of "What If I Was Nothing" and "Asking Too Much", plus the anthemic "Stand Up" and "Not Fading". The debut single, "Down Through the Ages", is designed to hum proudly as a petition for a summer headlining gig. 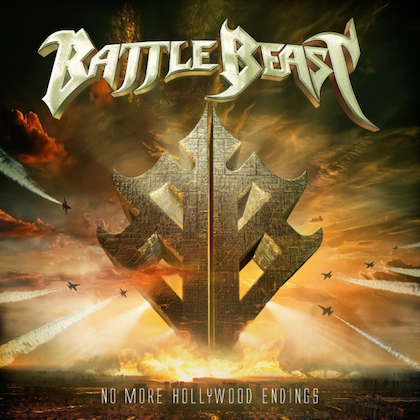 No matter how heavy "A War You Cannot Win" strives to be and no matter how much Phil Labonte tries to keep things dirty with his roundabout growling (which used to be first and foremost nearly a decade ago), ALL THAT REMAINS is now chained to an obligatory motif of mainstream-mindedness that will carry them for another album or two. Where the band and their future grown-up audience find themselves at that point will determine if ALL THAT REMAINS made the right decision to inexplicably morph from a deathcore act into an AOR band.